Incarceration, for some, is a pure tragedy; for others, a burden on taxpayers’ wallets. And yet, there are those who make billions of dollars from the grim industry of private prisons. The US government praises them as a way to ease expenditure, a blessing for the community and inmates – but is that really so? Reports have been describing incompetence, corruption and abuse rife in such privately-owned facilities. To find out what the state of affairs is in such prisons, we decided to ask the man who saw it all with his own eyes – from inside the belly of the beast. Paul Reynolds, former corrections officer at the privately owned Lake Erie prison, is on Sophie&Co. 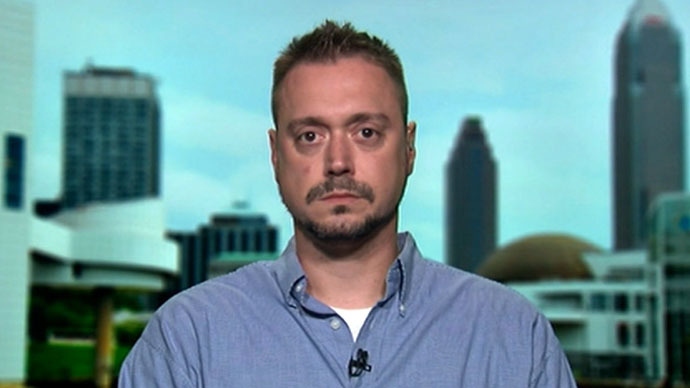 Sophie Shevardnadze: Paul Reynolds, former corrections officer at the privately owned Lake Erie prison, now activist against for-profit prisons – welcome to the show, it’s great to have you with us. Now, Paul, communities across the U.S. want to minimize costs and gain more money by handing over control of their prisons to private companies. How does it happen that more prisoners mean more profit? Paul Reynolds: First off, thank you for having me. When you can have more bodies in prison, obviously, you’re going to make more money off of them, cutting costs, doing anything you can; basically, you’re treating this people as chattel in a way to make profit off of them. SS: But if a bigger prison population means bigger profits why would anyone want to rehabilitate anybody at all? PR: They wouldn’t, and that’s exactly what happened when took over a prison. A lot of rehabilitation programs went out of the window; it became a warehouse for inmates, kind of a modern-day slaver if you will. SS: Can you elaborate on that? I mean, I’d like to hear a little bit more about it. PR: I guess, why they would want to have more inmates in prisons – to increase their bottom line. It basically becomes an assembly-line form of justice. You get them into system, get them in prisons, and you’re warehousing them, you keep them there and you charge the state as much as you can for them and put very little back in return to those inmates. Basically, there’s no rehabilitation when it comes to privatization like this. SS: But if things are as bad as you say, why does the government put trust in private prison operators? What’s in it for the officials? PR: I’m sure that they’re getting money back. The state is doing anything they can to save money – I don’t think they did the time to take the research to do this, so for the States to do this… they’re trying to put money in their coffers as well. SS: Now, the prison you were working in, Lake Erie, it was purchased by the Correction Corporation of America, a company that owns private prison. It was purchased for 73 million dollars. How much revenue does it make, that it’s actually willing to pay that much for a prison? SS: But do you have, like, an approximate ration or something? PR: I would say that with the way they cut programs, I would easily have to say their revenue or the amount that was spent on those inmates dropped by… as an estimate here, I would say, by 30% or more. SS: Because it does sound like it’s a profit for the local taxpayers, if somebody’s willing to pay that much money for a prison. Is it a benefit for the people, do you think? PR: First off, I think the reason they spent that kind of money on a prison is because they wanted to make this a flagship and show other states… I think they overpaid on this prison, and a lot of people will agree with me on that. I want to say that they overpaid so that they can have the first one in the country, you know, if you’re the first one in the country, everybody’s going to have their eyes on you, and it became a miserable failure, obviously, as we’ve seen, and that’s why I think other states have backed away from contracts with them – because they saw it did not do the way they anticipated. I think they came in here with this idea that they were going to make things the best they could and spend all this money and show how big and grandiose they were, and obviously, it was an epic failure. SS: Now, CCA says it provides “safe, secure housing and quality rehabilitation programming – and significant savings to taxpayers”. Well, the profits of a prison company come from taxpayer’s money being paid to them for running prisons. So, are municipalities and states really saving money? PR: No. I would say that they were basically taking advantage of that situation. They’re going to come in and take as much from the taxpayer as they can, and when you say that they provide “safe housing” – I can attest that that’s absolutely not the case. You saw the documentary, I mean, it was, it was… within three months, really, we lost control of that prison, because of their “safe standards” if you will. SS: We’re going to talk a bit about that in just a little while, but I want to bring to your attention a report by In the Public that revealed something shocking: it says that Arizona and Colorado, for instance, strike deals with private prisons and the state is obliged to keep its prisons filled up to 100% or taxpayers have to pay the private prisons for any empty beds. So, people actually have to pay for dropping crime rates? I mean, how’s that even possible? PR: That’s… you’re absolutely not dropping crime rates by doing that. You’re going to take somebody who smokes marijuana – let’s be honest, that’s not a very crime-worthy thing, a lot of people do it, police officers do it, who arrest these people and put them in jail – but when the state can say “Hey, you’re going to make $2 and you’re give us a dollar back for every inmate we give you”… That’s sounds like they don’t care. Once again, people become chattel as a way of making money for the state and for the private prisons. Of course, they’re going to want to keep it open. SS: So are you saying that people are actually getting nabbed for wrong reasons to fill up the quotas? Is that correct? SS: Did you witness that personally? PR: I saw some of the inmates they brought in, within the first two months… I don’t remember exactly when, within first 2 or 4 months, we had an increase of, like, 500 inmates. Some of these were inmates who were high-level troublemaking inmates, if you will, they had a higher security level, and they came and we were completely unprepared for that; but CCA didn’t care, they just want all the bodies. They, basically, took any of the inmates that other prisons did not want. SS: Also, there was a big scandal a while back, the “kids for cash” affair, when a private prison company bribed a county judge to stuff their juvenile prisons with youths. Does having a private prison in an area corrode the judicial process? PR: Absolutely. I believe the “cash for kids” was in Pennsylvania, not too far from where I am at, and you saw what happened: I believe that judge received 20 years in prison. If I’m in a position of power to make money off of something, whether it’s gold or silver or people – yeah, I would say it corrodes. I mean, if I can put thousand people in your prison, and you’re going to pay me a million dollars – I don’t care who I put away, I’m the judge! Yeah, it absolutely would corrode. SS: I want to talk a bit more about your personal experience in that private prison. For those who haven’t seen the documentary, working at the facility, you said that you lost a prison to the inmates that you were scared for your life – why did that happen? PR: CCA came in and had a hands-off policy on inmates. The state of Ohio allowed us to use force when necessary to deal with inmates. Now, make no mistake – inmates run every prison. They are always in control, there’s 3-to-1 ratio of inmates to security; but, there’s always this balance of force. The inmates know we can come in and do what we need to do to gain order. CCA said “No, you don’t ever touch an inmate, you don’t ever deal with an inmate in that way, you don’t even use harsh language with an inmate”. It only took inmates a few months to realize that we couldn’t do our job. PR: Because they were afraid of getting sued. CCA was afraid that if we hurt an inmate, they might get sued and lose money out of their profit. SS: They were afraid that they would be sued by inmates? SS: Okay, but the prison had added hundreds of prisoners after having been privatized. Were there vacant spots to fill? How did that happen? PR: Like I’ve said, they would bring these inmates in, by a busload, to meet their contract requirements to keep that prison at 97%, I believe – I don’t remember specific percentage. They just brought them in, whoever would send them an inmate – they would take him, regardless of what this inmate’s crime was or his security level. SS: You know, I’ve read that inmates in private prisons actually beg for solitary confinement for security reasons – how bad is the violence in these facilities? I mean, can you be detailed in your description? SS: But why were you scared for your life? PR: Because, I was afraid that if I defended myself, I might get thrown in jail. PR: …I was also afraid to lose my job. I have a family to support, I have a child to take care of. But these inmates, when they realized, you know, we weren’t going to use force on them, it was a free-for-all. Inmates were getting their heads bashed in, I used to take them to a hospital. Inmates were constantly fighting, they were robbing each other, extorting each other, it was the Wild West if you will. SS: Now, you’ve mentioned private prisoners being afraid of lawsuits – why aren’t state prisons afraid of law suits? PR: I think that’s one of the problems with the States, when they run prisons. They overspend, and there’s obviously always has been deficit when it comes to state running anything – that’s government for you. I think the lawsuits are easier settled, but you’ve got to remember, we’re dealing with government entity versus a private company, who pays insurance and has liability and things of that nature, so… why was their policy specifically like that? I don’t know, but I think it’s a fear of them losing their profits. They’ve got to make money for the shareholders. If they’re not making their shareholders happy, they’re not getting new business, not getting into other states, and make this type of money. SS: What I wonder is why aren’t the state prisons just as afraid of lawsuits from inmates, as are private prisons, like you’ve said? PR: My theory on that is probably because they have a direct pipeline to the justice system. Inmates, who act up in those prisons are probably more likely to face legal ramifications for it. I also think the States also believe there’s always an unlimited supply of money and, you know, I guess, it also goes back to the balance of power thing I said. These inmates in state prisons are less likely to act up, because they know they might get hurt, corrections officer might have to do things to them that might be unpleasant in order to gain compliance. So, once again, there’s much more balance of power in the state-run facility that there is in a private facility. When you tell us that we cannot put our hands on an inmate to gain compliance, if necessary, you give them all the power. SS: Tell me something: do private prisons pay less to guards than state prisons? Is there a problem of staff turnover at a private prison? PR: To address the turnover issue, there’s turnover in any industry, prisons definitely don’t escape that. In a private run facility – yeah, we were making $5-6 less than a state correctional officer would. Now, I can speak for a prison I worked at and some of ones that I know in local area, I can’t answer that on a nation-wide level, that could be a state thing, that could be, you know, where are those prisons located, is there enough money to pay these people, but generally speaking, yeah, they’re going to pay less, because that affects their bottom line. SS: Another thing that struck me is how you said that you were punished for trying to do your job – how so? PR: I had to use force on an inmate. I had several of those and they all were found to be justified. I have a degree in Criminal Justice and I did a lot of study on use of force, now there’s a use of force continuum that any police officer, any corrections officer, anybody involved with that has to follow, and they’re pretty specific by the state, and I was pretty well-aware of how it went. I dealt with this inmate and I had to use force on him to take him to the ground. I received two days of suspension for that, and that was one of the first uses of force where somebody was actually punished and that’s when inmates started to know: “Hey, these guys cannot do what they need to do!”. SS: What else was wrong with the private prison you were in? You’ve said before there was lack of medication and inmates sleeping on floors… If a public prison could provide all that, why couldn’t the private prison? PR: I could go on for hours when you’re asking me what was wrong with it, but I’ll try to minimize this here. Let’s address the medication issue: when CCA came in, the private company who ran the prison, but did not own it, had a system set up in place: everything was computerized, inmates walked in, they got the medication and left. When CCA came in, they thought: “We’re not going to do all this, and we have all this technology, and we’re bringing all this, all this money – and they didn’t have a computer! When inmates are going to pick up their medicine, the company was like “we don’t know where’s the inmate medicine at”, they’ll yell at the doctors and nurses, and, you know, they came in and in one minute at midnight everything changed over. Everything we had before went out of the window. They came totally unprepared to do some of the most basic things. Medical is very important part of the prison, as I’ve stated in the documentary, you have some inmates who need some psychotic medication, and if they don’t get it, things get ugly. SS: What about just other living conditions – I mean, you know, there was also the thing about inmates sleeping on the floor. What, were the beds taken out of the rooms, or the cells, once the prison became private, or what? SS: So were beds taken out of the dormitories? PR: No, beds were added to spaces that were normally used for common area, like a common area, quiet room, if you will. They converted those, put beds there. Very-very cramped. There was only about this much space between beds before they moved in, and they narrowed it down to probably like this, you got it right on top of people. So, they added beds. The answer about the sleeping on the floor – that was in segregation. Those cells were meant to hold 2 people at time, and they were housing 3 at a time. You got two beds, three people – somebody’s got to sleep on the floor, and inmates dictate who does that. SS: What else was the most troubling thing that you witnessed there, except for lack of medication and inmates sleeping on the floor because there was not enough beds for everybody? PR: The most troubling thing I saw was the fact of seeing other corrections officers scared to do their jobs, to stand there when incident happens, a fight happens, and officer kind of stand there and go on like this, like “what do I do?” That’s scary, because those are people you have to rely on backing up if something happens. If I’m getting my rear-end kicked in by an inmate, I hope somebody would step up, but people were asking questions: “Can I do that, or what’s going to happen to me and my job?”. It kind of became “Hey, we’re got to watch ourselves first for our own job”. SS: So, how does a company spend all of that money on purchasing prison and then can’t provide basic service? Is it incompetence or simply cost-cutting? PR: I would say it was incompetence. These people came in - and the top five management there, if you will, are the warden, deputy warden and etc. – they came in here and: “We’re going to do it our way. This is how we’re going do it, and we don’t care what you have to say”. They came in with this attitude that they knew it all, but they had no idea. Have they run prisons? Absolutely, okay. But each prison is different. We know those inmates, we know how that prison runs, and they come in and say: “We’re going to do it our way or if you don’t like it – too bad” – you saw the result of that. SS: Now did the inmate behavior change after the conditions worsened like you described? PR: Like I said, it became a free-for-all. The inmates, they just took over and they extorted other inmates and it was out, in the open, the fighting increased. I had plenty of inmates come to me, that I had good rapport with… you know, this is very awkward type of job to be in, you have to have certain personality – and there’s a lot of inmates that had a lot of respect with and good rapport, and they would come to me and say they were scared for their lives. I’ve run into inmates that have gotten out since I’ve been no longer there and they’ve said: “Oh my God, it’s got so bad!”. I departed from there shortly after, within 6 months, and things there got really bad after that first year. It got worse after I left, so I can only imagine what some of those inmates were thinking and saying, but the ones that came to me were very scared and very worried about themselves. SS: Is there anything you could do for them when they were coming and praying for help? PR: Not really. I can tell them to request to go to a different dorm, you could go to segregation – we call it “checking in” – they could do that, but no, there’s not much I can do for them. They’re grown men, they have to live their lives and they have to kind of do things as grown men. But, no, basically forward them to their guidance counselor, if you will, or sergeants or just the upper management – let them to try to handle it. SS: Paul, you know, the picture you’re painting is pretty gloomy. So, why is management of private prison neglecting order and control over inmates? Especially, like you say, they are actually afraid of lawsuits from inmates? PR: There’s a reason why 6 out of the top-7 managers that were there are no longer there. I go back to “incompetence”. They came in there with this “mightier-than-thou” attitude and it failed miserably. I think once the state had to come back in and basically tell them: “you’re going to do it the way we had it set up to do to begin with” – that prison has run for 12 years without real, major, serious incident or major, serious problems. Every prison has a problem, they all are going to have issues, but to the magnitude of what happened when they took over in the first 18 months? Yeah, that’s them coming in not knowing what’s going on, not taking the advice of the people who’ve been there and, of course, they’re trying to implement their system, because that’s how they’re going to make money for their shareholders. SS: According to a study by Chris Petrella, a doctoral candidate at the University of California, Berkeley, people of color are more likely to serve time in private prisons than in public ones. Do private prisons’ lobbies target black and Hispanic populations? Did you see more inmates of color? SS: No, when you were the prison officer, you saw the inmates that were there under your control – were there more Hispanic and African-Americans than white prisoners? PR: I would say there’s pretty good homogenous mix. There might have been a slight percentage, if we’re talking, maybe 55% African-American, and another 45% would make up Hispanic, white. SS: You know, also juveniles are predominantly placed in private prisons, and according to the latest survey or investigation published in Huffington Post, they actually face sexual abuse, also neglect, insanitary food – how does that encourage youngsters to actually come out and be clean and lead a good life? PR: Unfortunately, most of the inmates who come in there, juveniles, they probably come out worse than when they went in, especially into a private prison, when there’s really no rehabilitation going on there. It’s a training ground for them. We have shock programs here, in the States, where you send juveniles to boot camps and show them what prison life is really like, but ultimately, I hate to say this, it comes back on the communities to try and change this behavior. These inmates, these juveniles who come in prison, 95% of them come out worse off than when they went it. SS: Paul, thank you very much for this interview, for this very sad insight on private prisons in America. We were talking to Paul Reynolds, former correction officer at a private prison, activist against for-profit jails, discussing the privatization of incarceration in the U.S. and its’ consequences. That’s it for this edition of Sophie&Co, I will see you next time.